Traditional approaches to data management take too much time, cost too much, and don’t yield the desired results. Costs are forcing you to collect only 20% of the data, meaning 80% is left to risk and missed opportunity. Devo takes a different architectural approach: we don’t index on ingest, which streamlines the data pipeline. Now you can collect 100% of the data at 80% lower cost. Traditional indexing is the Achilles’ heel of large-scale data platforms. With Devo, data isn’t transformed on ingest - it’s immediately available for query. Events are tagged by time, source and customer and immediately written to disk - drastically reducing upfront infrastructure. Forget about prioritizing different buckets - warm or cold. 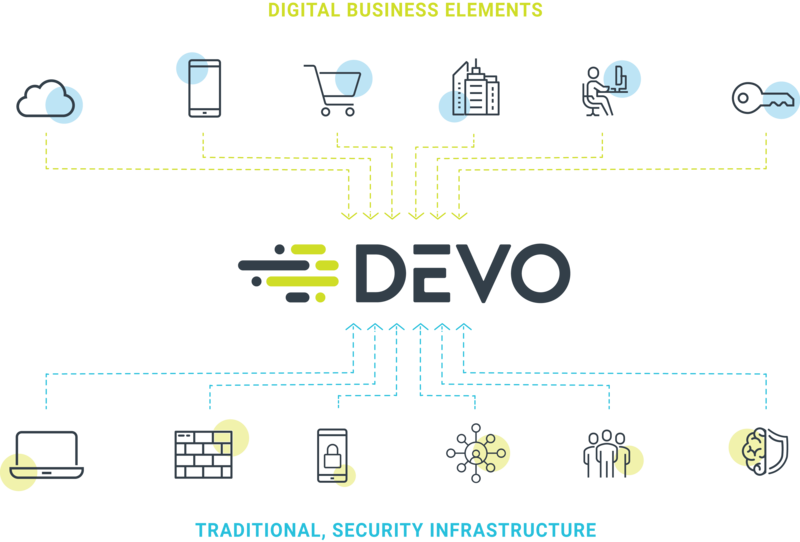 With Devo all data - historical, real-time and streaming - is kept hot, thanks to 90% compression and space-efficient micro-indexes. Stop worrying about performance, stop waiting - go ahead and analyze all your data. Devo parses data at query, meaning re-indexing is never needed to ask new questions of your data. As your data changes, simply update your parser and your tables, visualizations and reports adapt seamlessly for both real-time and historical data. Your tools – service desk, BI, security analytics and more - contain years of organizational practices but weren’t designed for large-scale data. Devo delivers analytics at scale, reducing compute-intensive data management tasks while filtering new insights to users.